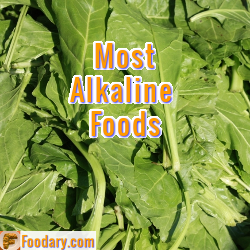 Earlier, I looked at several diseases that might be helped with an alkaline diet. Today, I am adding diabetes to that list. Before I look at how pH balance might help diabetes, I need to clarify some important points about alkaline diets and pH balance. I will explain the importance of measuring food intake the right way. Then I will describe a nutrition study showing a link between correctly measured alkaline foods and diabetes. The target pH for urine in healthy individuals is 6.5 to 7 in the morning, rising to 7.5 through the day. Confusion arises when people publish data on food pH values, made worse because they usually omit to explain how pH has been measured. Food pH, however it is measured, does not affect acid load. It is useless, and potentially dangerous, to measure pH values for food or food ash. We know that alkaline diets can be beneficial, but if you use the wrong measurements, you can mistakenly eat too many acid-forming foods or eat too few alkaline-forming foods. The correct food measurements for alkaline diets estimate the acid load on the kidneys. PRAL (Potential Renal Acid Load) is currently the best measurement, though I have also explained other options for defining pH Balance Diet Scores. A Recent nutrition study has discovered a link between pH balance and diabetes. “Dietary acid load and risk of type 2 diabetes: the E3N-EPIC cohort study” was published last year by Fagherazzi and colleagues. Public health implications This is the first prospective cohort study to show that a dietary acid load is directly associated with an increased risk of type 2 diabetes. From a public health perspective, dietary recommendations should not only incriminate specific food groups but also include recommendations on the overall quality of the diet, notably the need to maintain an adequate acid/base balance. Despite some limitations, this study indicates potential for easing the burden of diabetes through pH balance. What we need now, are long term studies to see if switching to an alkaline diet will improve diabetes for current sufferers. Do you think pH balance can help diabetes?